ハノーバーメッセ 2013 に出展中です。 We are exhibitting at hannover messe 2013 in Germany. 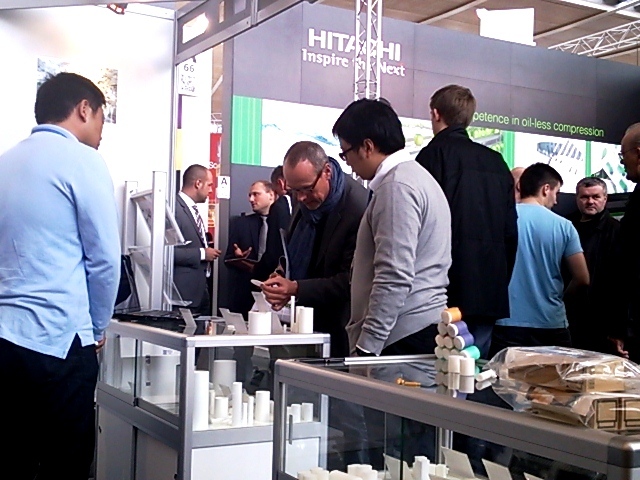 We exhibitting our products at Hannover messe 2013 on 8th～12th April. Hannover is cold and we even had a snow, but so many people from Europe, USA and Asia has visited our place. 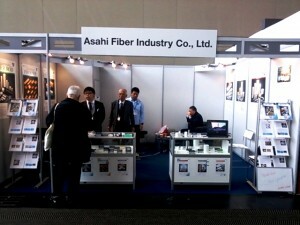 It is first time for us to exhibit at Europe, but it is great chance to introduce our products in Europe. ★2013/04/10 by ASAHI FIBER INDUSTRY CO.,LTD.